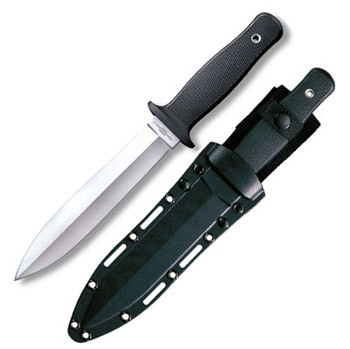 The Cold Steel Peace Keeper I, Cold Steel's double edged knife that performs like nothing you've seen before. Unlike most boot knives and daggers, the Peace Keeper's™ spear point offers considerable resistance to bending or breaking. Made of super tough 4116 Krupp stainless with a sub zero quench, and treated with Cold Steel's custom heat treatment, the Peace Keeper™ offer the utmost in strength, toughness, and superior edge retention.